The New England School of Communications (NESCom) is a co-educational institution offering Bachelor of Science degrees in Communications Technology, Media Studies, and Entertainment Production. Students in Communications Technology may choose concentrations in Audio Engineering, Live Sound Technology, Video Production, or Web Media, while students in Media Studies can choose concentrations in Journalism, Marketing Communications, Radio Broadcasting, or Sports Journalism. 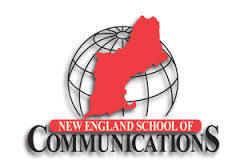 The New England School of Communications prepares students for careers in the broad field of communications. We educate students in the applied technology and content consistent with the platforms that they will be using in their professions. Our instruction is designed to give students not only the critical knowledge but also the technical skills they will need to be successful in their chosen careers.